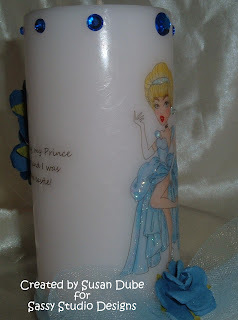 Stamping Tink: May All Your Wishes Come True Release and Blog Hop for Sassy Studio Designs! 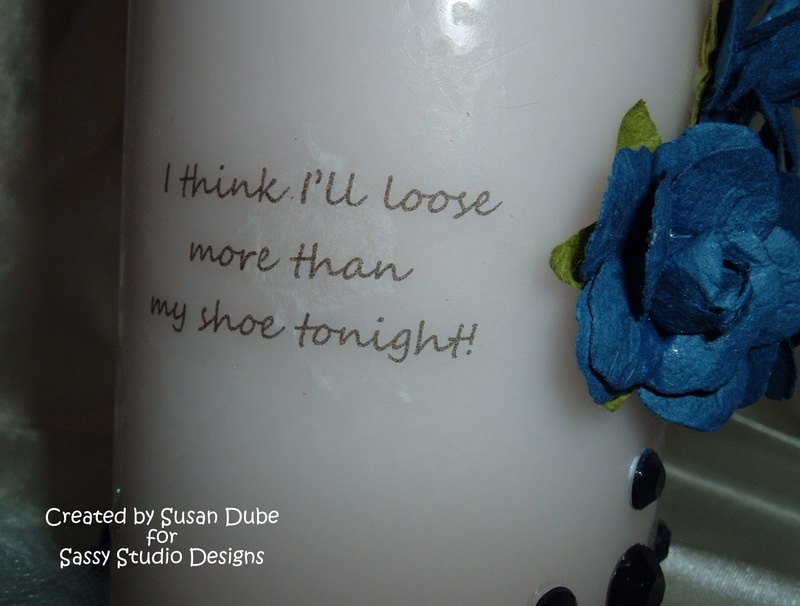 May All Your Wishes Come True Release and Blog Hop for Sassy Studio Designs! Just a couple of things first. 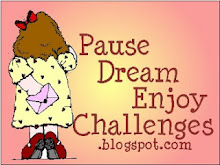 If you've made it this far on the fabulous blog hop, God Bless You! Also, for everyone in the United States, Happy Memorial Day! I love this holiday because it pays tribute to those who have or are serving in the military. I proudly served 12 1/2 years in the Navy and loved every minute of it. It was a privilege and honor and I wouldn't have traded one single second of my time doing one of the most important things in my life. Now on to the blog hop! Don't you just love it when something you've truly wished for comes true? I know it's happened to me several times in my life and it's just truly magical when it happens. 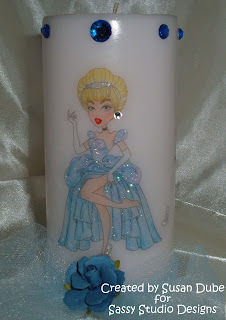 That's what the new release for Sassy Studio Designs, May All Your Wishes Come True, is all about. But there's a twist - it's about when your grown up wishes come true! Thanks so much for stopping by and I think you'll love this release! I now I sure do! If you've come to my blog from my ever talented designing sister, Sara's blog, then you're on the right track. 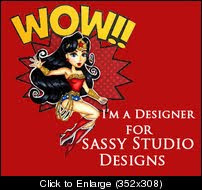 If not, make sure to go to the Sassy Studio Designs blog and start from there. I promise it will be well worth your time! I am really excited to present Cinderella Pin Up to you! I'm really pleased with how she came out! Just want to warn you that there's a few pictures! I did something new for me, I used a digi and made a candle! 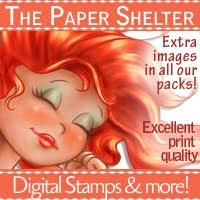 I've done it with rubber stamps before but never with a digi and I had a blast! (I'm writing a tutorial for it and you'll be able to find it over at our Paper Craft Planet Group in a few days.) 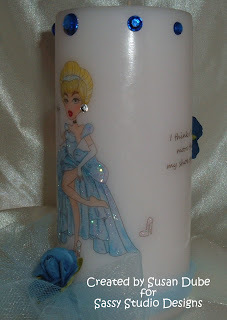 She's colored with copics and added to the candle with my embossing gun. I added some stickles all over her gown, headband and shoes. I added some blue tulle from Joann Fabrics and all of the flowers are from Recollections. Love her missing shoe! I added some jewels to the top and the back and they are by Studio G.
Since she's a pin up, I wanted to add a sassy type sentiment to her! Here's a view of the side with another sentiment. I like this one because usually when you hear about a ship coming in or something good happening, usually the person is at another pier or the airport and they miss it. Miss Cinderella Pin Up was in the right place at the right time! And here is a view of the left side of the front of the candle. It was hard working with this project because it smelled so good! The scent is Fresh Linen and I got the candle at Michaels. 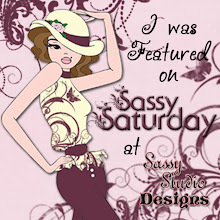 Well, I'm the next to the last stop so head on over to The Sassy Studio Designs Blog and tell us what you thought about the blog hop and the release. I think it's one of our funnest so far! 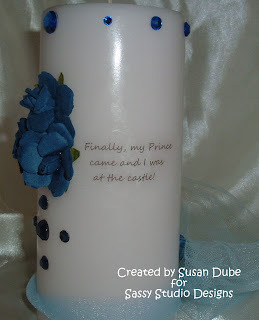 Great candle Susan. Love how it evolves around the candle. The stickles look great. Oh Susan I just LOVE this idea and your coloring is fabulous! I can't wait to see the tutorial and give it a try myself! AWESOME creation! Most important: Thanks for serving the United States of America. The candle is beautiful. You did a great job. All the embellishments and sentiments are great. Susan, great idea with the candle. I tried making one years ago (just with printed tissue paper). Can't wait to see your tutorial. Love the coloring, the flowers, gems, the sentiment, everything. 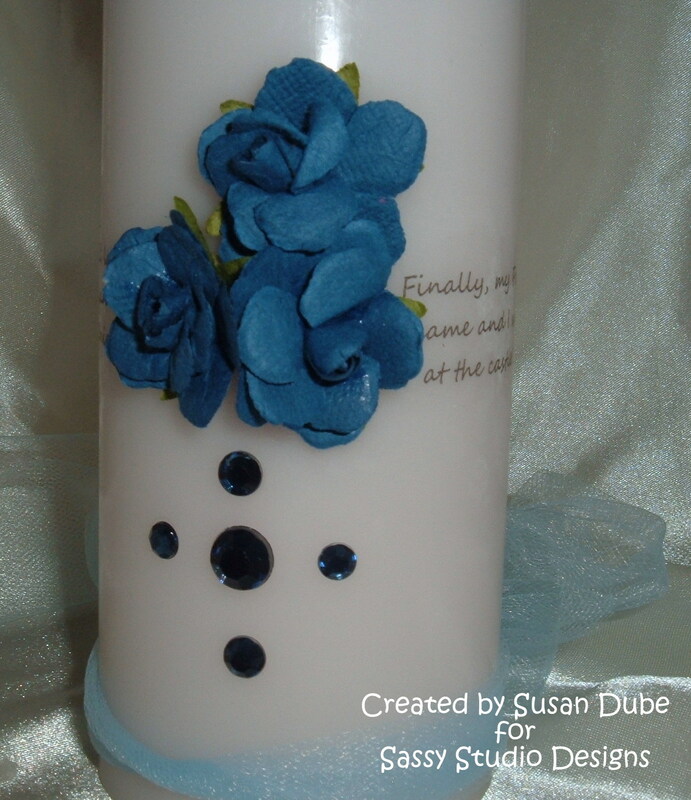 Susan this is gorgeous and I love the Candle and the flowers & bling too. Stunning, I love how she turned out to so pretty. Very cool idea! Love how the sparkle stayed on!! When I have time I will go check out the tutorial! That sentiment is so SASSY, love it! Susan, this is truly GORGEOUS!!! Love the sentiment, perfect for this sassy Pin Up!! Hey my sassy sister of blingity bling bling! Can't wait for your tutorial, I'd love to learn to do this. Beautifully done. Hi Susan, I have to say this is my fave project for this hop! It's gorgeous! Just adorable. Love the project it is just awesome. Susan, this is so fabulous! I'm in awe of your creation. Just stunning! Love everything about it. That candle is absolutely gorgeous! Gorgeous candle. Cinderella is just beautiful. What an amazing project, so many details, and beautiful coloring! And Happy Memorial Day to you for all of your years of service! This is one of my favourites of the Hop!! 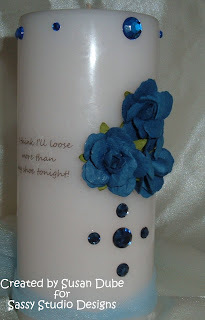 The candle is such a clever idea and I'm looking forward to the tutorial. Your colours, colouring, flowers & sentiments are just perfect!! Simply stunning creation! I love the design of this and the way you colored this image. This is fabulous! Wonderful project, Susan! I've never been brave enough to attempt a candle but this turned out beautifully! What a fun project Susan. Love the idea, and you executed it to perfection. What a gorgeous gift this would make. So inspiring.